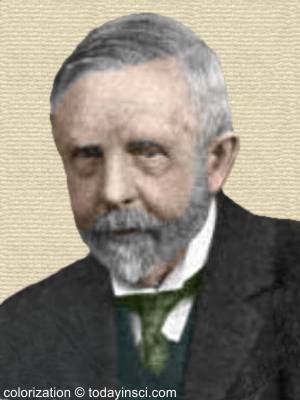 English electrical engineer and inventor who co-founded the firm of Evershed and Vignoles, Ltd., manufacturers of electrical instruments. They conducted basic research in magnetic phenomena in the cores of transformers, permanent magnets and the physical structure of non-conductors. As quoted by Stephen T. Keith and Pierre Quédec, in 'Magnetism and Magnetic Materials', an article collected in Out of the Crystal Maze: Chapters from The History of Solid State Physics (1992), 360. 16 Sep - short biography, births, deaths and events on date of Evershed's birth.